For selling on your own website or standalone shop, you’ll have to use a shop plugin for your website or subscribe to an online shop service, which are very handy! Click here to read a post I wrote about those before, or check out these quick options below. If you check out options not listed here, make sure to check that they have digital download service! Big Cartel – A great looking stand alone shop option! Specially formatted for arts and crafts, so it is perfect for selling craft tutorials along with any self-made crafts you have! 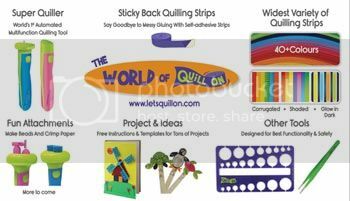 Shopify – I used to use Shopify when I sold quilling supplies, it is a great service. Very professional. It costs a bit more, though, so I didn’t keep it just to sell my tutorials. They now have a “lite” version to allow you to easily sell via Facebook and existing websites that is a lot cheaper (only $9 a month!!). I haven’t gotten around to trying it, but I want to! Top 10 Online Services for Selling Digital Files – this handy post on a tech blog gives some great options for plugins or ecommerce sites for selling digital products. They aren’t specially geared towards craft tutorials, but that doesn’t matter. Best Way to Sell Digital Goods – A very detailed and excellent post on an ecommerce blog about the best services out there for selling digital products. You may find yourself sticking around the blog reading other articles! If you are going to sell in an online marketplace, your best bet is to find one that focuses on selling handmade crafts and also craft supplies. These types of online marketplaces are all over the place, but there is one specific feature that you will probably want to make sure of. You’ll want it to have a feature to automatically let your customers download the tutorial after they pay for it. When that feature is not available you’ll have to email your customer the PDF file after they purchase it. That is not a convenient option! They might want it right away but you live in a different time zone and don’t get to it until hours later. You might have an emergency and not be able to send the email right away. Etsy – This s a popular venue. You have to pay 20 cents per listing, plus a transaction fee for each sale. There is a lot of competition here, but also a lot of customers and people trust ordering on Etsy because it is well known. Zibbet – This is a newer venue, but is getting larger and has many great features. You can try it out with a free store. Other plans have a monthly fee, but no listing fees or transaction fees. One of the cool things about Zibbet is that you are also given a stand alone website which you can even assign your own URL to! Sending customers to your own standalone shop site gives an aura of professionalism. Meylah – You won’t find Meylah in a lot of posts that list online shops, but I’ve had a Meylah shop for years and I like it and make a few sales there. My favorite thing about it is that there are only transaction fees. So I can keep my listings in my shop indefinitely for no cost, and only pay a small percentage when I sell. With selling PDF tutorials I don’t have to worry about checking and updating stock for the store. Craftsy – This is another good venue because it can get your tutorials in front of an audience that is already interested in crafting! The listings are a bit more fiddly to fill out, but it’s still worth it. Oh, and it’s free! This is a great site for taking crafting classes as well, getting supplies, and getting all sorts of inspiration! Craft Art Edu – This seems to be a new venue, I myself just applied to see how it is. You have to apply to be an instructor and you can then have your downloadable tutorials for sale. They keep 10% of each transaction. That is more than other venues, but hey, the more people who see it the better, right? They seem to specialize in polymer clay, fiber, and jewelry, but they have a section for “other” as well. You Can Make This – This is a newer online hub for buying craft tutorials. You do have to apply to be able to sell, and they take 50% of the commission. This seems extremely high, but again, it is another venue and it’s still money. You can always increase the cost of your tutorial to make it more worthwhile. Kollabora – Another newer site. On this one you can upload projects you have made, and buy and sell PDF tutorials, and share crafting videos as well! You do have to apply to be a seller. There are new marketplaces opening all the time, so keep your eyes open. If you find another one that does instant digital downloads and has low fees, get your tutorials listed! I like to keep my tutorials in 3-5 shops. Looking for a place to sell your video tutorials? Stay tuned next week for that list! For more business and blogging posts, click here! 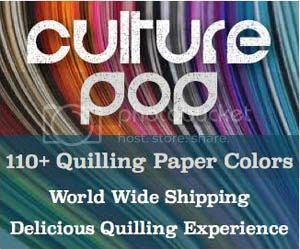 To view a list of places to buy quilling supplies around the world, click here!